Having now worked in Practice for over 20 years, I have supported and advised many business owners, across a range of industry sectors. I have experienced over this time, many different styles of management, and learned a lot about what makes the best businesses tick. 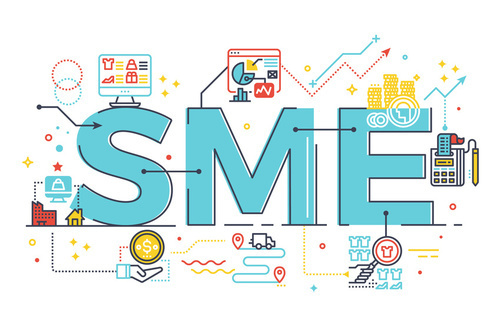 I decided to review what has emerged as the key areas of strength exhibited by the most successful business owners, and this has lead, to what are in my opinion, the 5 essential tips for any SME or start-up. The first key concepts of business I learned that stuck, was probably “cash is king”. Cash for any business is vital, but more so for SMEs and start-ups. It's easy just to focus on driving revenue and looking only at the profit figures, whilst completely ignoring the perils of insufficient cash resources. Therefore, at some point, it will be key to hire the right team, and to create a pro-active environment. Building a team that can reason with you and illustrate the potential issues with a certain strategy or plan. They won’t always be as dedicated as you, but having the correct attitude is crucial. You not only need to find the right people, tbut they also need to be kept involved and motivated, and remunerated properly. You need to listen, acknowledge, and involve them in the decision-making process. An engaged employee is a better, more productive one. This provides a basic outline of the essential tips for any SME or start-up, and concluding on the role a good accountant as a professional advisor would play, and that of the key business areas on which they can advise, support and address.